Here Are The Winners of My RØDE Cast 2019! Launched in February, the inaugural edition of the My RØDE Cast podcast competition was a big one. 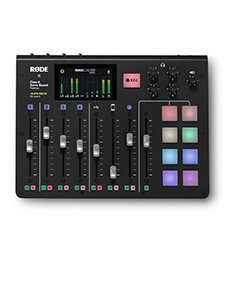 Entrants simply needed to submit a 1-2 minute podcast on any topic and in any format to go in the running to win a share in over $150,000 of prizes (including RØDECaster Pros and PodMics). We were blown away by the response: the podcasts flooded in, with over 900 entries received from 56 different countries around the world, collectively racking up over 30,000 plays (so far) on the My RØDE Cast Whooshkaa channel. 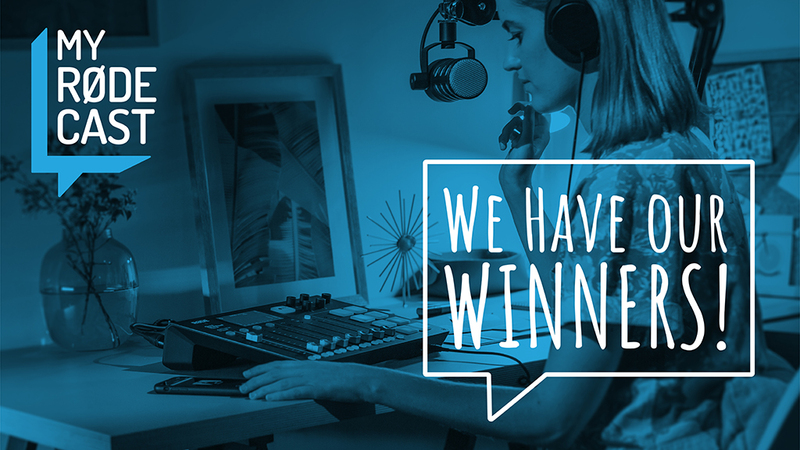 The winners were selected by a trio of podcasting heavyweights: Jacob Salamon, CEO and founder of Wisecrack; Mike Dawson, voice and engineer of The Adam Carolla Show; and Jordon Lott, content coordinator at Acast. There was also a People’s Choice prize for the podcast with the most votes from the public. Way Back & A Matter Of Fact displays a sophisticated mix of quirk, interest, entertainment and a clever use of music and sound effects in a light-hearted “podcast about the parts of history that they definitely don't teach you in school!" "Way Back and a Matter of Fact is a podcast that I hope brings to life some of the more interesting parts of history," says Michael, "whether it’s about hiring human alarm clocks or the great molasses flood in Boston or any number of crazy stories that have happened through time. "I was a history major in college and I have worked in radio since I was 14. My thought was how can I combine those two things and thus Way Back Matter of Fact was born as a feature on my radio show (where I go by my air name Moose Michaels) and from there it naturally became a podcast. 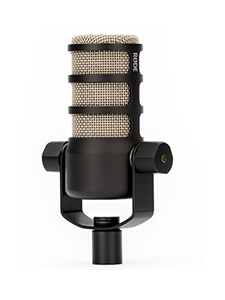 "Winning My RØDE Cast is an incredible honour. Ever since I began my career in radio I’ve always wanted a similar studio at home to make my own outlet for the ideas in my head. 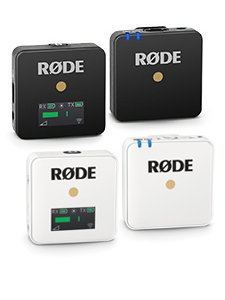 I’m incredibly humbled to have been fortunate enough to win this competition and with RØDE’s help I can take my love of audio, storytelling and history to new heights with several new ideas I’m already cooking up." Nursery Crimes lampoons true crime podcasts by turning traditional nursery rhymes into breathless, portentous crime documentary. A knowing mix of moody sound and sharp scripting turns Jack & Jill into a tale of infidelity, murder and tough justice. Just Like Before combines meditative vibes and self-learning in a tale about first love and lost. The lovelorn narrative struck a chord with thousands who voted it People’s Choice. The prize packs for each of the winners are loaded with podcasting gear to help these budding superstars on their way, including RØDE mics and accessories; the RØDECaster Pro Podcast Production Studio; headphones from Urbanears; sound effects from Blastwave FX; software subscriptions from Adobe; tuition from SchoolOfPodcasting; SSDs from Angelbird, acoustic treatment from Primacoustic, and more. A huge thanks to everybody who entered and who supported the competition by voting, listened and sharing. My RØDE Cast will return in 2020 - bigger and podcastier!